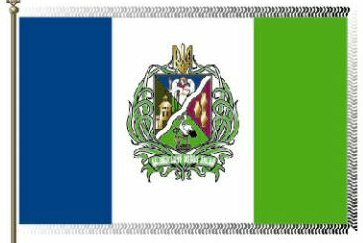 Here is the flag of Desnyans'kiy district in the City of Kiev, Ukraine, shown on the official website of the City Government. However, there were no any additional information about the flag. 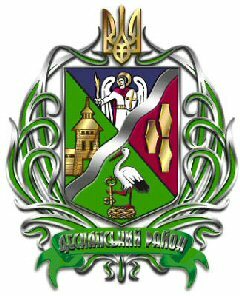 Page with the coat of arms with its description (in Ukrainian) is here. Desnyans'kiy district has area of 148 km2 and a population of 342,700..